Denim Embroidered Daisy Throw Pillow - 22x22? CLOSEOUTS. 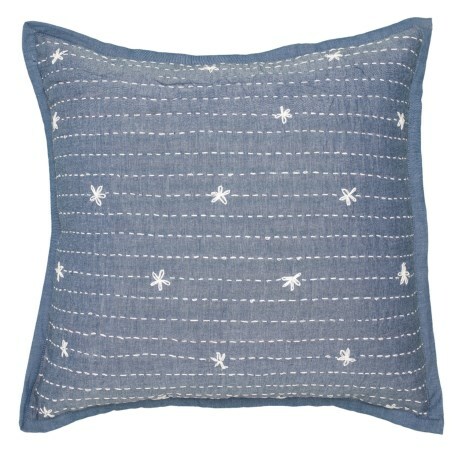 Plop a pop of personality into any living space with this Indigo Home Incand#39;s embroidered daisy throw pillow, made from woven cotton with embroidered daisies and ticking stripes, and fluffy feather fill. Available Colors: DENIM.